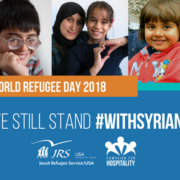 For this World Refugee Day, June 20, 2018, Jesuit Refugee Service USA is inviting us all to join together in calling on the President to stand with and support our Syrian brothers and sisters. When President Trump decided to retaliate against the suspected use of chemical weapons on Syrian civilians, he said: “this is about humanity.” Help us remind him and the Administration that we continue to have a responsibility to take humanitarian action during this crisis. 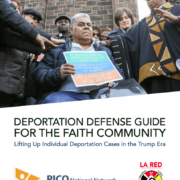 This guide is focused on lifting a case publicly in traditional and social media and placing pressure on immigration services with the help of congregations, the community, and elected officials. 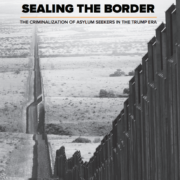 Sealing the Border documents violations of the rights and dignity of migrants and asylum-seekers by immigration enforcement agencies and officials in the El Paso and Southern New Mexico region of the borderlands. 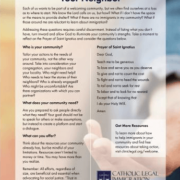 FAQ’s: Faith Group and Providing “Sanctuary” to Immigrants? 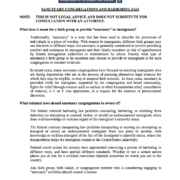 What are the risks of providing sanctuary to people who are undocumented immigrants? The American Civil Liberties Union provides some answers to common questions on this topic. Please note, this information is intended to provide only a general overview and does not replace the council of a an attorney. 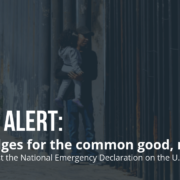 https://s3-us-west-2.amazonaws.com/ignatiansolidarity/wp-content/uploads/sites/17/2018/03/08194935/ACLU-Sanctuary.png 1032 792 ISN Staff https://s3-us-west-2.amazonaws.com/ignatiansolidarity/wp-content/uploads/sites/17/2017/06/22174326/Campaign-for-Hospitality-Final-300x285-1.png ISN Staff2018-03-08 19:57:302018-03-08 19:57:43FAQ's: Faith Group and Providing “Sanctuary” to Immigrants? 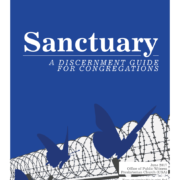 The Sanctuary Movement is a growing movement of immigrant and faith communities who are standing with groups made vulnerable by the current political climate, including immigrants at risk of deportation. 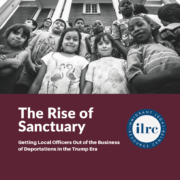 The idea of sanctuary often centers on civil immigration enforcement, but it can and should be much broader. Many communities pass “welcoming city” or similar policies with statements about how their local agencies will treat all people with respect, regardless of national origin, race, religious affiliation, gender identity, or difference in ability. Each of us wants to be part of a welcoming community, but we often find ourselves at a loss as to where to start. We know the Lord calls on us, but how? What if I don’t have the space or the means to provide shelter? What if there are no immigrants in my community? What if those around me are reluctant to learn about immigration? 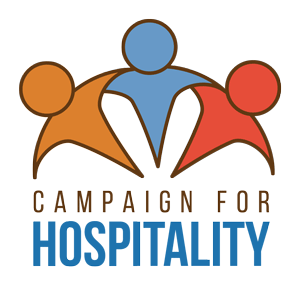 This tool is intended to help a community reflect on how they can best be welcoming and hospitable. 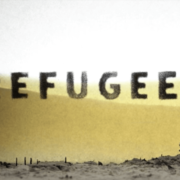 VIDEO: What does it mean to be a refugee? About 60 million people around the globe have been forced to leave their homes to escape war, violence and persecution. https://s3-us-west-2.amazonaws.com/ignatiansolidarity/wp-content/uploads/sites/17/2017/12/29132911/what-does-it-mean-to-be-a-refugee-video.png 532 953 ISN Staff https://s3-us-west-2.amazonaws.com/ignatiansolidarity/wp-content/uploads/sites/17/2017/06/22174326/Campaign-for-Hospitality-Final-300x285-1.png ISN Staff2017-12-29 13:31:432017-12-29 13:32:22VIDEO: What does it mean to be a refugee? 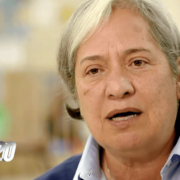 Sr. Norma emphasizes the importance of hospitality as a way to remind those who migrate that they are people of God, that they have dignity, and that they matter.